Things don't slow down just because it's winter. 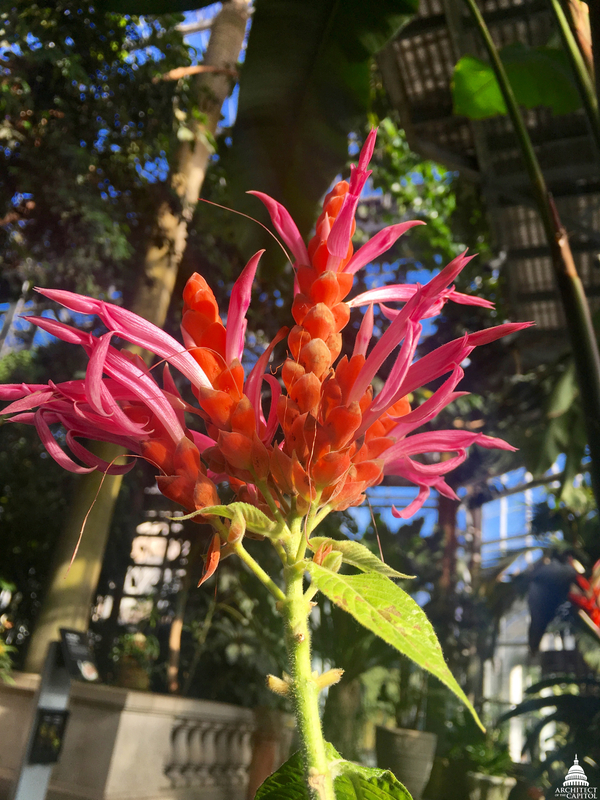 Below are five reasons to explore the U.S. Botanic Garden (USBG) this season, including tropical flowers like the Epicatanthe Volcano Trick Orange Fire orchid above. Cross section of a cacao (chococlate) pod. 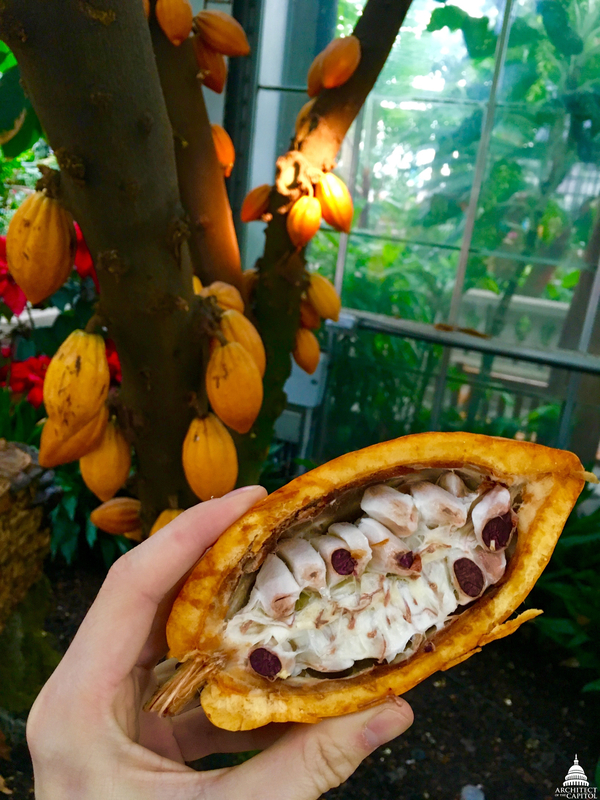 When you enter the Conservatory's Garden Court, one of the first plants you might see is the popular Theobroma cacao tree. Not sure if you're one of its fans yet? What if we tell you it's also called the "chocolate tree"? This winter, our tree was loaded with ripe cacao pods growing right out of the tree's trunk. Each orange-yellow pod is the shape of a football and is filled with rows of cacao seeds surrounded by white fleshy pulp. In front of the tree you may find a Discovery Cart where one of our volunteer docents will take you through the steps that turn these cacao beans into the cocoa powder, butter and chocolate that is so loved. Prepare for a feast for the senses — there is lots to see, smell and feel with this cacao experience! The USBG grows more than 500 rare plants and is part of multiple partnerships and programs to conserve threatened plants and teach others how they can play an active role in plant conservation. 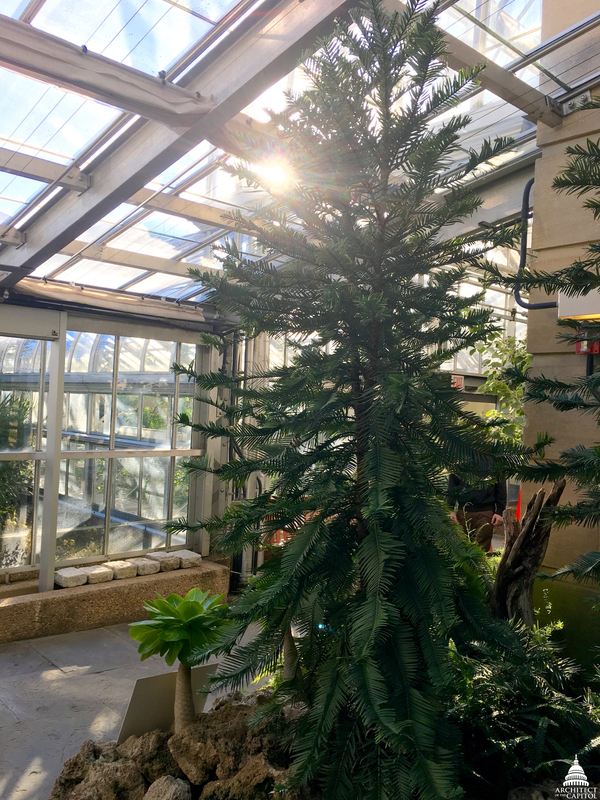 Come see our Wollemi pines (Wollemia nobilis) and observe an ancient species once thought to be extinct until a grove was discovered in Australia in 1994. The USBG has joined others around the world in growing a collection of these plants and many other rare and endangered species to help ensure their numbers increase and the plants never go extinct. The Regional Garden in our National Garden features plants native to the Mid-Atlantic region of the U.S. In the winter, many plants in this garden serve as important sources of food for birds and other wildlife. 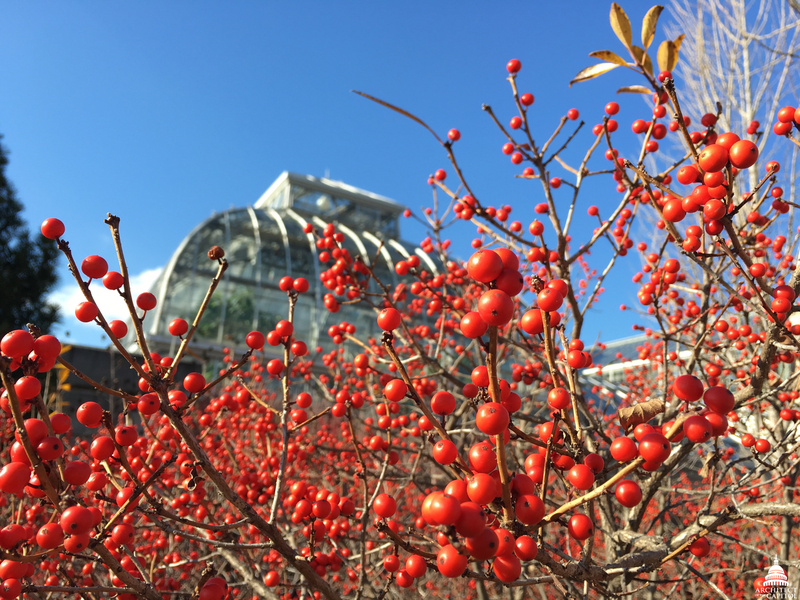 Plants like the winterberry (Ilex verticillata) not only provide fruits for animals, but also give color to the winter landscape with their bright red, yellow and orange berries. If you take a few minutes to explore this garden, you might find the winter beauty of plants and the many birds that depend on them in this season. Naval commander Charles Wilkes led six ships on a four-year expedition around the Pacific on the U.S. Exploring Expedition from 1838-1842. They returned with 50,000 dried plant specimens and over a thousand live plants. These live plants formed the foundation of our plant collections, and today you can come face to face with three of these living pieces of history. 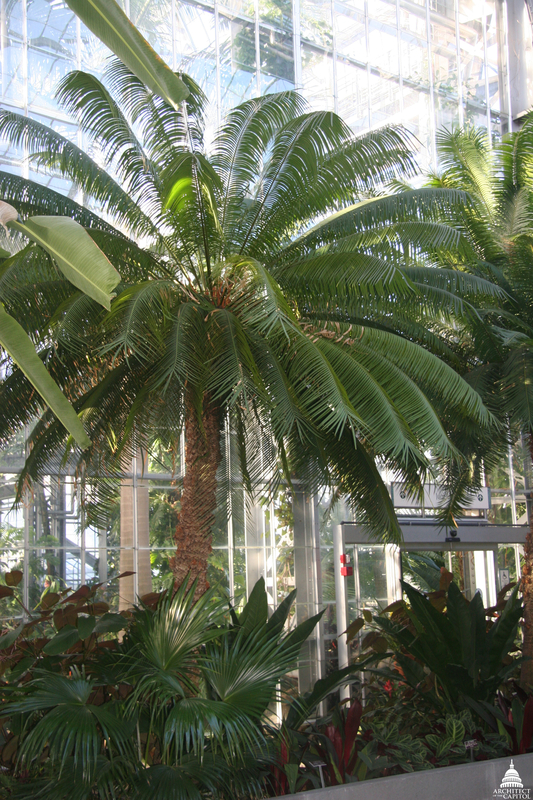 Three plants from the Expedition live in the Conservatory: a queen sago (Cycas circinalis), a ferocious blue cycad (Encephalartos horridus) and a vessel fern (Angiopteris evecta). Even when the weather outside is cold and frosty, The Tropics in the Conservatory are warm and alive with a diversity of plants. Go high above the ground floor and explore the tree tops in D.C.'s only jungle canopy walk. See a collection of palms from around the world, aerial roots that fall like curtains toward the ground and bright bursts of color from tropical blooms. Wow! What an awesome blog today! I am definitely going to check these out when I go on Xmas day.